The two land loans in Miami and Boca Raton totaled $45.2 million. 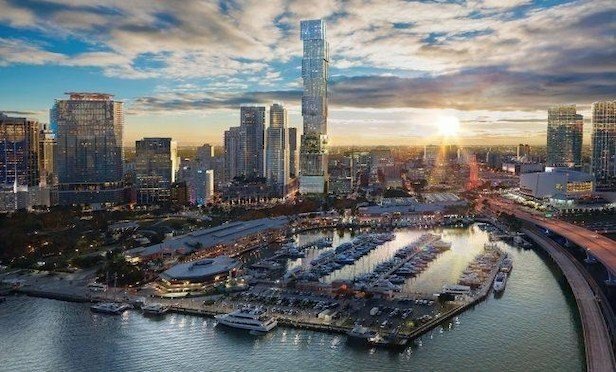 The Bethesda, MD-based Walker & Dunlop arranged a $33-million loan in connection with the development of the new Waldorf Astoria Hotel & Residences Miami at 300 Biscayne Blvd. A rendering of the Waldorf Astoria Hotel & Residences Miami. The project was designed by Sieger Suarez Architects as a stack of glass cubes. MIAMI—Commercial real estate finance firm Walker & Dunlop reports it has arranged two large land loans in South Florida. the largest of which will help seed the development of the Waldorf Astoria Hotel & Residences Miami.